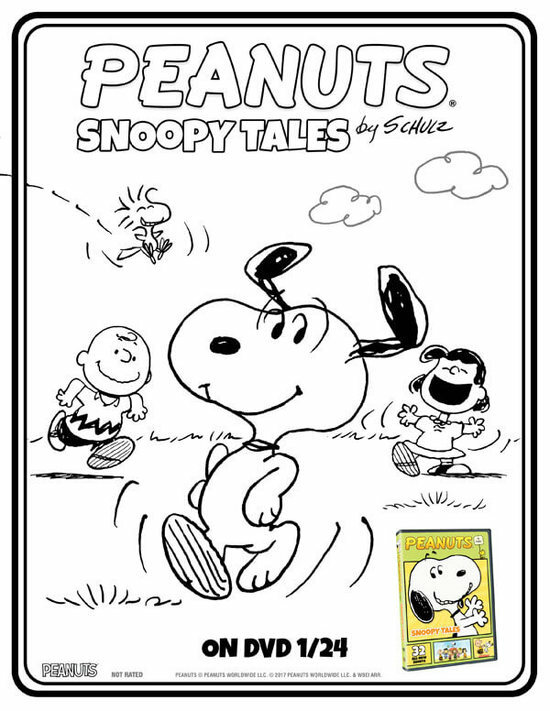 Exclusive: Peanuts by Schulz: Snoopy Tales Coloring Sheets! Experience Peanuts like never before with this beautifully animated series that captures the adventures of Charlie Brown, his lovable beagle, Snoopy and the rest of the Peanuts gang. 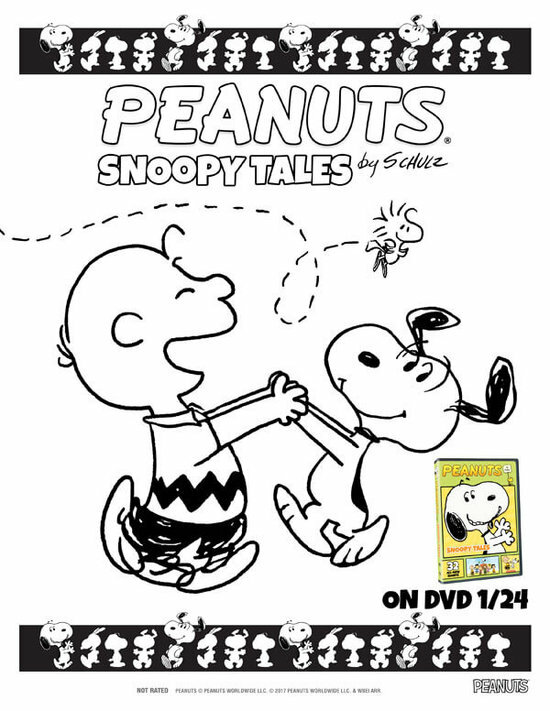 The first new animated Peanuts cartoon series in over 10 years, Peanuts by Schulz: Snoopy Tales presents viewers with stories from the original, print comic strips, told through a series of beautifully animated vignettes. Whether pestering Charlie Brown for a snack, battling Linus for his blanket or snoozing the day away with Woodstock, Snoopy once again proves that he’s not your ordinary dog. 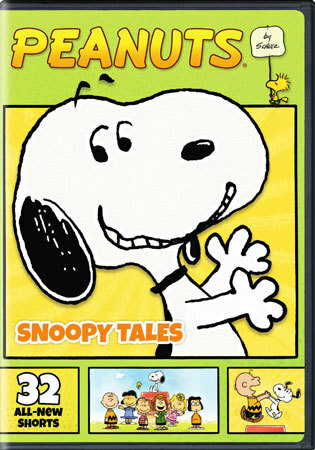 Peanuts by Schulz: Snoopy Tales is sure to captivate both new and long-time Peanuts fans alike. Download these fun coloring sheets! This must-own collection will be available in stores January 24, 2017! Who is your favorite character from The Peanuts Gang?